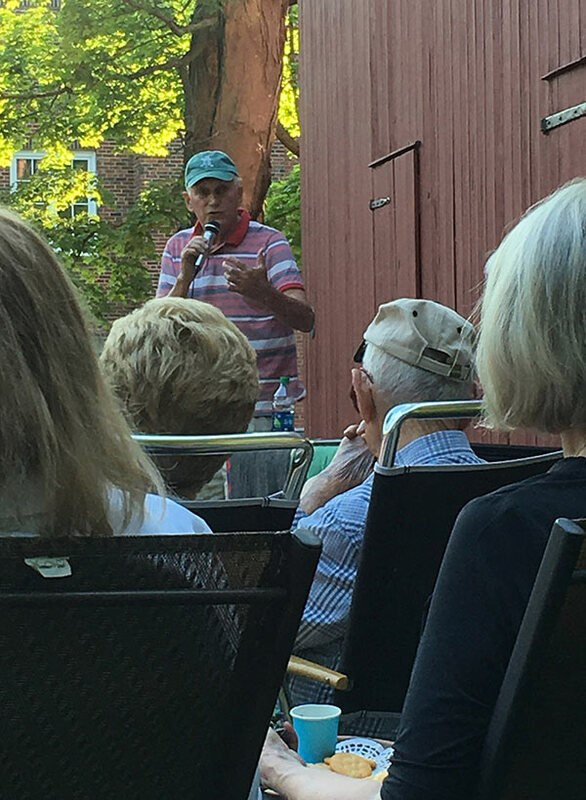 Area history buffs met on the lawn at the Deacon’s House on a warm Friday evening recently to hear about the life and times of Daniel Hand, a native son and progressive philanthropist. While the audience gathered, people shared food and conversation in anticipation of the informal lecture to come. As a member of the Madison Historical society, Don Rankin shared his enthusiasm for talking about the inspirational life of one of Madison’s own. Daniel Hand lived for almost a century (1801-1891), including many years in the South, but he returned North to his roots. For his legacy, Hand gave generously to his home town in support of education. How better to honor the work and gifts of Daniel Hand than to listen and discuss his life at the home of another notable local family, Deacon John Grave?